It is Friday and I am on an extended long weekend (because that is how I roll) and wanted to throw some videos and a few songs at ya to see what sticks. It will all stick. Wanted to post on a new video of Zachary Lucky and Carly Maicher for “Leaves are Falling” that they played in Liverpool, Nova Scotia during their current cross Canada tour. I mention this as they will be here in Calgary tonight at a House Show (I’m out of the loop on that) but they have an official show at the Ironwood Stage this Monday, May 21. Me and the Mrs. will be in attendance, so you should join us for a long weekend beer and some great tunes. Great tunes like the below! Visit The Ironwood Stage for info on the show, directions on this Monday’ show! Ms. Al Spx has a new video that premiered on Rolling Stone the other day (yes, Rolling Stone – we live in a new era of indie music folks). The new album isn’t out yet but is garnering some very high praise (myself included). The album has been in the works for years and it is truly magnificent. 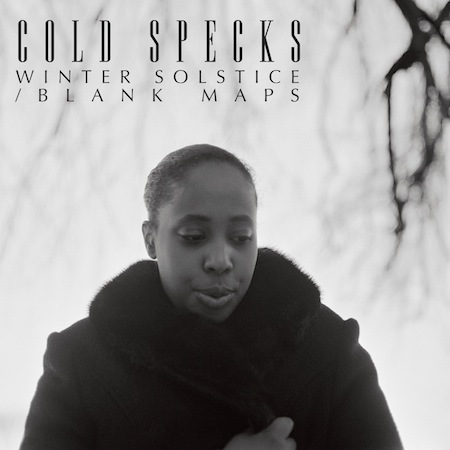 I will also make no secret that I will be voting for Cold Specks on my Polaris Prize ballot (you know the Polaris Prize right?). Watch a video for Winter Solstice below! Lastly but not leastly, we have The Great American Desert (formerly South of Lincoln who was a Slowcoustic best of the year last year) and a new ‘Classroom’ video for the track ‘Whiteclay’ from his upcoming Yer Bird Records (ahem, yes our fantastic label). You get an intro with the story behind the song and a fantastic live version of the song followed by why Max Holmquist (The Great American Desert) picked up his career in music. Thanks to the Lawrence High School Film & Media Program for having Max in for the session! Listen to a bonus track below – which incidentally will be the next video for the LHS Classroom Session as well! There you have a grab bag that is chock full of goodness!